Are you looking to reach usability professionals, designers and/or developers? Then you’re at the right place! 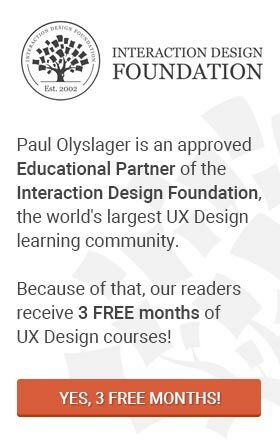 This blog is read by many thousands of usability enthusiasts every month, including designers, developers and both novice as seasoned UX practitioners. The strong community and focused audience makes this blog an ideal place to advertise products related to usability, user experience and web design in general. We write short sponsored posts from time to time to feature a single sponsor across our website. We restrict this to a maximum of six sponsored articles per year. The topic should be related to Usability, User Experience (UX), interface design or any related topic thereof. Online applications are a perfect fit. We are very meticulous in choosing the sponsor. If it is not relevant for our audience, we will not write about it. Remember, it should be a mutually beneficial relationship. We charge $399 per article. We write an article dedicated to your online product. The article includes screenshots and quotes if available. The length of the sponsored post will be around 350 words. We include up to 2 links to your website. These links are nofollow links, compliant to the Google Guidelines. The article will be promoted via social media such as Twitter, Facebook and several LinkedIn groups. The post will be the mentioned as one of the opening articles in our newsletter. The post will be mentioned in our RSS feed. In accordance with FTC regulations, we always mention that it’s a sponsored blog post. 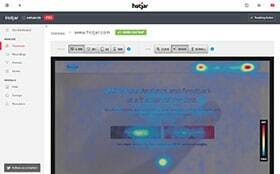 Hotjar, a heat map and session recording tool. Crazy Egg, a heatmap tool. Pricing highly depends on what you would like me to review. Just send me an email with what you had in mind. We do not write reviews about an entire website. What did our advertisers had to say?